DETROIT - Once a sign of prosperity and innovation in Detroit, Michigan Central Station changed roles to a symbol of decay and despair as it stood dormant for 30 years. The bustling train depot witnessed some of the city's greatest and worst times before falling victim to a decline in train travel, becoming a haven for vandals, homeless people and urban explorers. But, three decades after the last train pulled away from the depot, Ford Motor Company says it has big plans for the building. "Detroit: Comeback City," a documentary premiering Sunday on the History Channel, recounts prosperous times and the less-than-savory moments in the city's rich history. Executive producer Terry Wrong referred to this as the "boom and bust cycle" in Detroit. 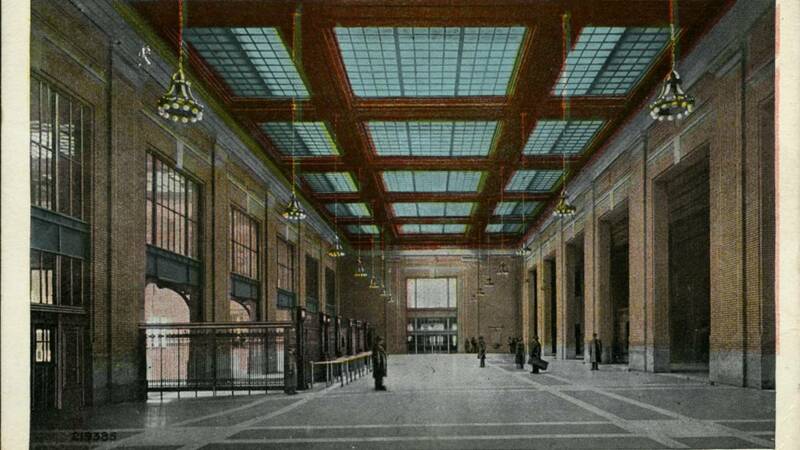 The concourse at Michigan Central Station before the train depot shuttered. From the days the Motor City was a booming auto capital to regrowth after filing for bankruptcy, the film attempts to pack more than a century worth of stories into about 45 minutes. Watch the documentary's trailer here. It includes interviews with historians, Detroit residents, local celebrities -- including Smokey Robinson and Alice Cooper -- and Bill Ford Jr., among others, set against a backdrop of historic footage showing auto plants, neighborhoods and civil unrest. 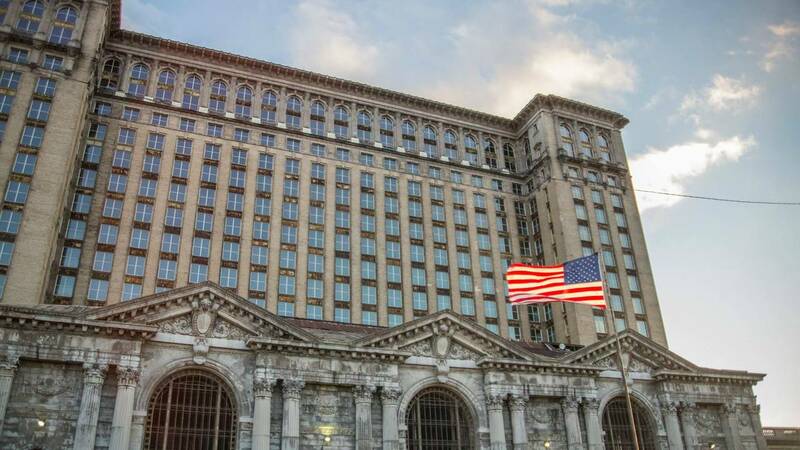 The stories recounted all tie back to Michigan Central Station and the auto industry, with large nods to what Ford has planned for the former transportation hub and Corktown, something that, according to History Channel's resident historian, Steve Gillon, made the story appealing. "We [at History Channel] love the past when it connects with the present," Gillon said. Gillon said the train station's story is Detroit's story, a story that in turn is the story of America. The documentary concludes with Bill Ford Jr. speaking briefly about the automaker's intentions of making the old depot the center of its autonomous vehicle work. Michigan Central Station's rebirth will be a huge step in the right direction for the city, but the comeback is a constant work in progress. Nonetheless, Detroiters are excited about the potential for new life at the long-vacant building. 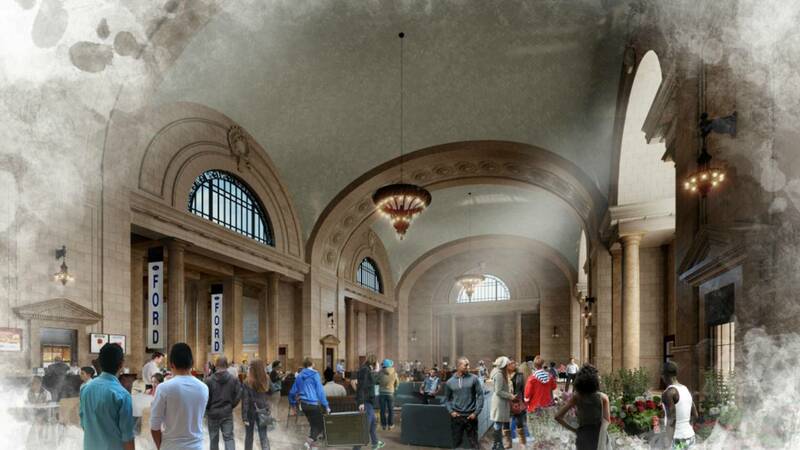 A rendering from Ford showing what the inside of Michigan Central Station may look like after renovations. Wrong said he visited a disadvantaged Detroit neighborhood to speak with residents while working on the film, describing them as "guardedly optimistic" about Ford's vision for MCS. Rebecca Salminen Witt, with the Detroit Historical Society, summed up Detroit's progression during a panel discussion about the documentary. Witt noted that the city is coming back, but it won't be a comeback city until what is happening Downtown and in Corktown spreads to its neighborhoods. "Detroit: Comeback City" premieres July 1 at 9 p.m. on History Channel.